Area: 507 sq km. 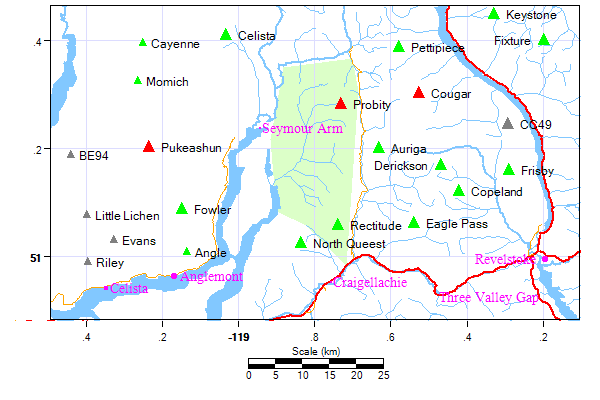 Location: This range is east of the Seymour Arm of Shuswap Lake, south of Ratchford Creek and between the Perry River on the east and Shuswap Lake on the west. The Anstey River drains from the western side of the range SSW into Shuswap Lake. The southern boundary of the range is the pass between Craigellachie and Four Mile Creeks, southwest of which is the small Shuswap Range.